Automated product-based follow ups based on previous in-email behavior. 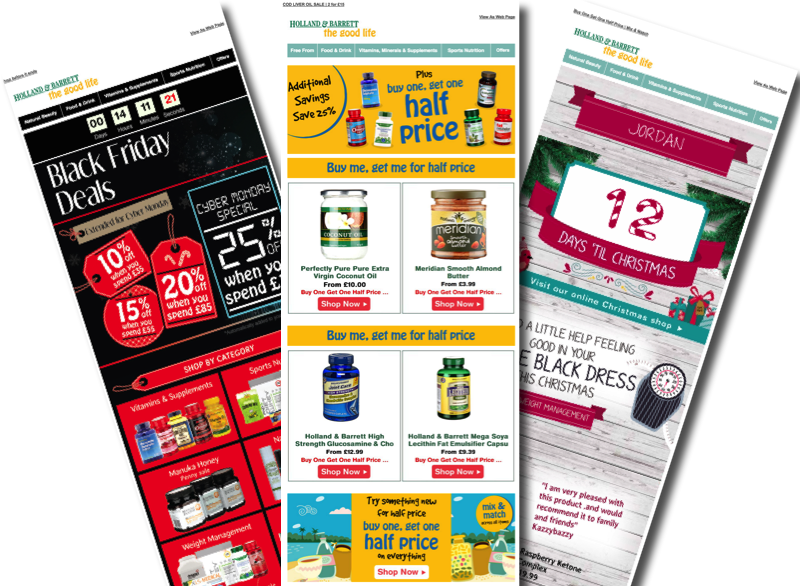 Find out how Holland & Barrett use in-email behaviour and Content Automation to send a follow-up email containing latest products from category of click. Utilising Kickdynamic’s Content Automation product, Holland & Barrett reduce email build time significantly, freeing up enough time to send an additional product-based follow up campaign to the same cadence, presenting a significant revenue opportunity.